A chimney fire occurred around midnight in this South Easton home. 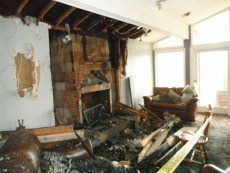 The fire jumped from the chimney to the living room and expanded quickly to the attic of the house. With the fresh air it raged on the roof, destroying most of the supporting trusses and ceilings. Firefighters arrived and extinguished the fire. They were able to put out the fire before it was able to claim the entire home. Cityline was hired to by the home owners to provide emergency services and to reconstruct the home. We brought in our team of experts to assist the damage and determine what was salvageable and what needed to be stripped down. Because most of the damage was localized to one part of the house we were able to keep most of the structure intact. It was determined that most of the rebuilding work would be done in the living room and an intensive renovation job was required on the roof of the home. Further, we came to the conclusion that the carpeting in the living room would have to be replaced and the rest of the home cleaned of smoke and debris. The fire in the attic did cause a considerable amount of debris to fall in the rooms below, leaving quite a mess in various rooms all throughout the home. Our demolition and cleaning crews swept through the home, paying extra attention to cleaning up the debris from the fire above. We did this quickly and efficiently so our construction crew could get started with the reconstruction. 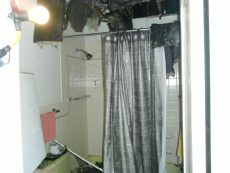 The damage to the bathroom ceiling and wall was bad enough that most of it would have to be replaced. 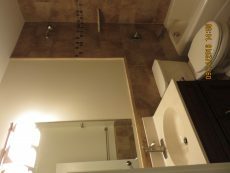 The home owners realized this was a perfect chance to customize the bathroom and give it an updated modern look. They worked with our architects and interior designers to make changes to their outdated bathroom. We replaced the drywall and dull tiling that was there before with a fancy tiling the lined the entire bathroom. 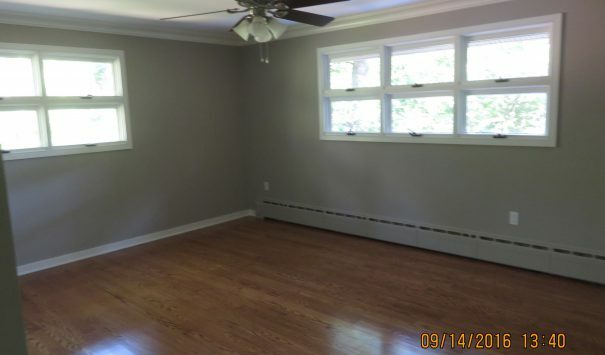 In the living room the home owners and our interior designers came to the conclusion that hardwood floors would be the best choice for the room. 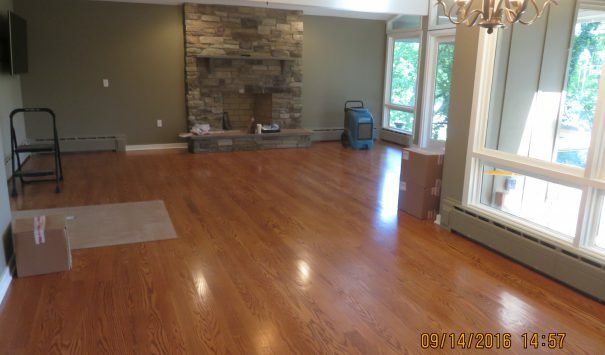 We also laid down a hardwood floor in the living room instead of carpet to help give it a more refined and classy look. (Author’s side note: I’ve got so say, it came out fabulous). 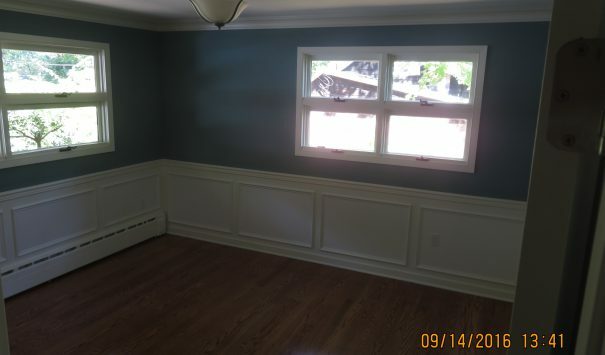 The house looks stunning and we are happy that the home owners are happy with their new home! And just in time for the Thanksgiving holidays as well.